There’s nothing more rewarding after a long and hard day than soaking your feet for 10 to 15 minutes in a nice bowl of warm, rejuvenating water. When you seem to find yourself running in and out of job sites or if your work requires you to stand on your feet for long hours, you may likely find your feet suffering from corns, calluses and foot pain at some point. 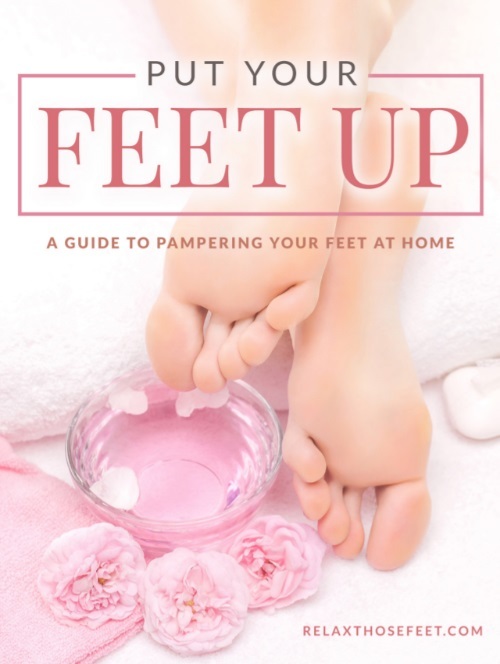 While wearing comfortable padded shoes helps, one way to help your tired feet recover faster and more easily is by pampering them with a foot spa. Some immediately throw the suggestion of a foot spa outside the window with the connotation of expensive spa salons in mind. The good news is that you don’t need to spend a fortune to reap the benefits of having a foot spa. If you’re tight on a budget, there are many ways for you to sit back and enjoy the soothing waters around your weary feet. You can have your own foot spa at home by making your own foot bath mixed with salts and essential oils, or you can get a professional foot spa machine that contains a good set of features such as bubbles, vibrations and a rolling massager. Regardless of how perfect your foot soak is or the mixture of your essential oils and scrubs, if you are not mentally ready to be relaxed, the purpose of soothing and calming your overall senses will be deceived. Forget your worries for the day or tomorrow; the important thing is the present. When you start to blank your mind, you allow your body to feel the pleasure of warm water around your feet, and for others, to feel the relaxing vibrations from a foot spa machine. You will be amazed by the reduction of stress you will feel afterward. For the best results, accompany your home foot spa with a reflexology treatment. Reflexology has been practiced for centuries since the time of the Egyptians, owing to the principle that all organs and glands of the body have corresponding reflexes on the feet. Reflexology practitioners believe that stimulating the related area of the foot corresponds to a direct effect on the reflex organ. It is also believed that reflexology can address a wide range of disorders such as sleep problems, digestive issues, circulation disorders, stress and emotional problems, impaired immunity and edema or swelling. There are plenty of resources online that teach the basics of pressure points on the feet. If you are unsure of how to go about this, try to consult with a licensed massage therapist or someone who is trained in reflexology. Essential oils are nature’s wonderful products that have a wide range of health benefits. Tea Tree oil, for instance, packs loads of antiseptic properties perfect for addressing fungal infections and athlete’s foot. You can combine tea tree oil with rosemary oil to create a natural deodorizing foot spa recipe. Eucalyptus and olive oil are also a good disinfectant and can also be used to relieve sore muscles. If you want to energize or revitalize your senses, you can add few drops of lemon or peppermint. In addition to providing a refreshing effect, these two essential oils also help to stimulate circulation and promote cell growth. If you’re looking for essential oils with calming or soothing properties, on the other hand, you can refer to lavender or chamomile oil. To exfoliate dry and cracked heels, you can mix milk, sugar and baby oil, and use a pumice stone to remove the dead skin cells on your sole. To make your skin soft and supple, complete with a petroleum jelly or a thick moisturizer then lock in the moisture by wearing a soft and comfortable pair of socks. Moist conditions are the perfect breeding ground for bacteria. To prevent infections, always clean your foot spa machine or your basin after every use. Some foot spa machines indicate cleaning instructions for their model, while others can simply be cleaned with water, detergent or disinfectant. To be sure, refer to the instructions for your device. After every cleaning, make sure to leave it dry and ready for your next use. In addition, always consider cleaning your spa supplies and making sure you are using clean water. Contaminated water or supplies can pose a risk to any potential break in the skin like the aggressive trimming of the cuticle or a callous. This may come as a surprise for you if you have only heard this once. Unfortunately, not everyone is advised to do foot spa treatments. If you’re suffering from a certain chronic or acute health condition, having a foot spa can worsen your condition. If you’re diabetic, for example, getting a food treatment can increase the risk of foot infections from a potential break in the skin. Pregnant women are also off-limits to foot spas, particularly during the first trimester. If women still want massages during the second and third trimesters, they should avoid massage techniques that involve pressure between the ankle and the heels or long strokes along the legs. A pregnancy massage therapist is best recommended to avoid inducing premature labor or dislodging the baby. The secret to maintaining soft and supple-looking skin after regular foot spa sessions is a good moisturizer. You can choose a moisturizer from a trusted brand in the commercial stores or you can make your own. Aside from making your feet supple, you can prevent dry and cracked heels. Shea butter is a great choice to hydrate and nourish your skin while helping it heal and repair. Mix this rich butter with drops of peppermint oil, melaleuca essential oil, and tablespoons of emulsifying wax and a cup of distilled water. For best results, apply your homemade cream every night before going to bed. Thank you for your tips on making the most of a foot spa. I especially appreciate your comments on using essential oils. 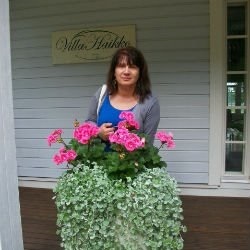 I had wondered what essential oils would be the best for my feet, so thank you for sharing. I will keep all of this in mind the next time I decide to treat myself to a foot spa! I didn’t know that there’s nothing more rewarding after a long and hard day than soaking your feet for 10 to 15 minutes in a nice bowl of warm water. My sister’s feet aching and she wants to relax. My mom suggested going for a foot spa treatment and shared this article with her. It says that the secret to maintaining soft and supple-looking skin after regular foot spa sessions is a good moisturizer.